Passing the Delaware written exam has never been easier. It's like having the answers before you take the test. Many drivers leave their home states for work or even extended business travel, but traveling for work takes on a different meaning when you are in the military. You may be moved across states, across the country, or even out of the country. So what does this mean for your driver's license? And how will you register your car when you are far from home? Like all drivers, you need to be legally registered and licensed to get around. The Division of Motor Vehicles (DMV) recognizes the difficulties faced by drivers in the military and their family members. The Delaware DMV will not penalize service members, Department of Defense employees, and dependents who are out of state on deployment when your license expires. You'll need to provide proof of deployment/station out of state, as well as your military ID upon your return. You will then not be charged any late renewal fees. If your orders have expired when you renew, bring a letter from your commanding officer certifying your dates of deployment. Contact number or e-mail address. You may substitute with a letter from your commanding officer if your orders have expired. Payment for the applicable fee (see Renewing Your License in Delaware for renewal fees). The tags on your Delaware registered car could expire while you are stationed out of state. But, you still may need to drive the car while in another state. Once your tags expire, your registration does, too, and you will be in violation of the registration rules. To renew by mail, write a letter explaining your situation―are you stationed out of state, or married to military person stationed out of state? You may want to include further proof such as a military ID or a document from your officer with your service dates. If you are going to be returning to Delaware within a month, the DMV may send you a temporary registration. However, if you are going to be out of state for much longer you will need new decals. Most vehicles, except newer cars, require an annual inspection. Call ahead to the DMV Office in Dover (302) 744-2500 to ask about your vehicle inspection requirements. You may be stationed someplace you can't take your car. 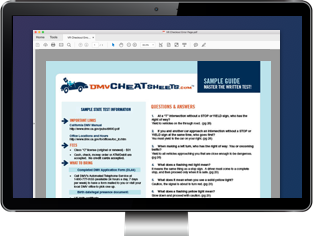 The DMV will refund you a portion of the registration fees you have paid in. Because many registrations are good for several years you could be foregoing a decent sum of money if you don't file for the refund. Applying for the refund is a simple matter of filling out the refund paperwork, which is available online using the free Adobe Reader. You will be glad you filed when you get the refund check, and when you are in need of vehicle registration again, just start back at the beginning.